Australian Mining has investigated the current state of Australian metals and looks into how they will perform in the coming year. In the second part of this five part series we look at gold. Gold was the darling of the investment set over the past few years, so will we see this again? While iron ore was making its mark in Australia and captivating the nation with its seemingly never ending climb, gold itself was skyrocketing in price and reaching new highs, having climbed consistently and rapidly since 2006 and not even slowing its ascent for the global financial crisis. Next year the story gets worse, with a predicted double digit decline in revenue growth, shrinking 10.2 per cent. Much of this is down to improving economic conditions globally. High production costs coupled with high wages (which in turn drove up production costs again) are making many of these gold mines which were able to draw a profit during the boom now unviable. Add to this the uncertainty created in investor circles by complex regulatory systems as well as increases in state royalty taxes, and a financial storm engulfing the sector has surprised no one. However not all are painting a grim story for gold in the short term. 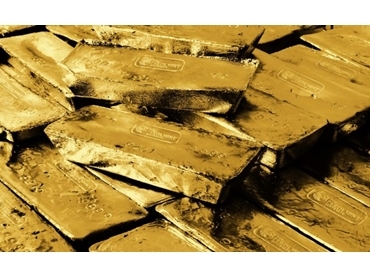 Former Rio Tinto executive Owen Hegarty said gold is moving in only one direction - up. Speaking at the Gold Symposium forum in Sydney, Hegarty said demand from China is "unstoppable" and Australia will be playing "catch up" to deal with a "supply problem" for years to come. Hegarty explained physical gold supply hasn’t been able to keep up with "sensational demand" which is "led by China and followed by India". China’s growing middle class and urbanisation will see growth continue for several decades to come, Hegarty said. "They’re going to maintain growth at between seven and eight per cent for the whole of the life of this leadership," he said. Hegarty said as big miners continue to shelve and talk down new projects the gap between supply and demand will only be accentuated. "Supply is going to continue to be the issue, we are going to be playing catch up football on the supply side," Hegarty said. "We need continue to work hard at reducing regulatory constraints." With a new government in charge, it is now unknown what constraints may stay in place regulatory wise, and which will be lifted, with Australian Mining being told by one industry executive that "even with the mining tax gone and the genie back in the bottle, it still hurts the sector, as that genie can be pulled back out at any time". On the production side the news is much brighter, even though a predicted rise in worldwide supply is forecast to constrain wider growth. "Australia's gold production is expected to increase over the five years through to 2018-19", adding that "significant contributions will be made by the Tropicana joint venture project involving AngloGold Ashanti and Independence Group which will yield 320 000 to 350 000 troy ounces at full production; the continued ramp-up of Newcrest's Cadia East mine (which will add 700 000 troy ounces at full production), Mungana Goldmine's Chillagoe project (160 00 troy ounces); and Tanami Gold's Central Tanami project (160 000 troy ounces)" despite recent lay-offs. This massive increase from a number of large players is expected to push Australia's gold output from around 252.5 tonnes currently to 268.1 tonnes in 2018-19. Gold is likely to see its best year revenue change wise next year, with a 4.2 per cent growth in revenues, before facing a slide downwards again towards eventual contraction of revenues in 2018-19, despite the increase in output.